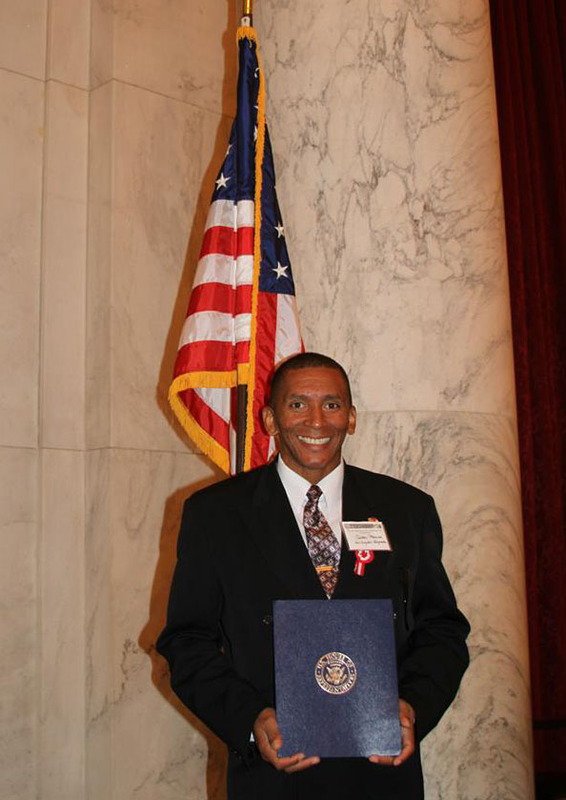 Carlos Medina, a bus operator, holding his award in the United States House of Representatives. Photo: Peru Village LA Facebook. Carlos Medina, a Chatsworth bus operator for Metro, has been awarded for “Excellence in Leadership in the Peruvian Community” by the Peruvian American National Council and the U.S. Congress for establishing Peru Village LA. In an effort to add a layer of Peruvian culture to the diverse communities of Los Angeles, Carlos Medina and the Peruvian community formed Peru Village LA to create a geographic location in Los Angeles which can provide community services, bridge cultures and promote commerce and economic growth here and abroad. Medina is the community liaison for Peru Village LA and was invited to Washington D.C. to help commemorate Peruvian Independence Day on July 28. In D.C., Medina, including other members of Peru Village LA, participated in a policy discussion with White House cabinet staff regarding immigration reform, the new healthcare program and the growing commerce in Latin America. Angelenos are very familiar with the tiny cultural neighborhoods throughout the city, ranging from Little Tokyo to Chinatown to Little Armenia. Now, the stretch of Vine Street between Melrose Avenue and De Longpre Avenue could soon be officially added to this list as Peru Village. And even Eric Garcetti, the new Mayor of Los Angeles whose old city council district contains the neighborhood, supports the proposal for Peru Village. I am all for officially recognizing ethnic neighborhoods, but… am I the only person who doesn’t understand exactly how this is a Peruvian neighborhood? One Peruvian restaurant on either end of a mile-long stretch of Vine? I don’t get it. Not that it matters. It’s done now, it’s no big deal, and it’s not like it’s hurting anybody. I just think it’s… odd. @Eric R: The idea is that the establishment of the district will attract other Peruvian Angelenos and their businesses to the area. See also: Little Bangladesh. Eric R: it’s like Little Bangladesh on 3rd Street. It just seems like a normal stretch of LA (to me at least), with only a few Bangladeshi stores here and there.